Our Laminated Veneer Lumber (LVL) is manufactured from rotary peeled wood veneers that have been pre-graded for stiffness and to achieve different structural properties. The veneers are glued together using a durable structural adhesive and pressed to form long continuous sections (panels) with the grain running parallel to the main axis. The sections are then cut into LVL products of various kinds with properties that include – high strength and stiffness; reliability and uniformity of quality; straightness and durability; and easy cutting and machining using standard woodworking tools. LVL is also known to have fire resistant characteristics. 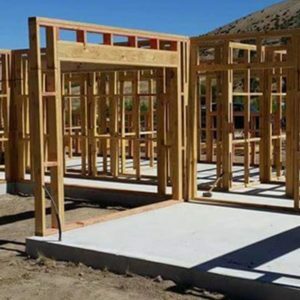 Our LVL is ideally suited to a wide range of light to heavy structural uses in both commercial and residential applications, including framing, rafters, joists, lintels, trusses, beams, formwork, and scaffold planks. Because of their high-performance characteristics, our LVL products can be used as suitable alternatives to steel, reinforced concrete, solid timber and finger-jointed wood in many situations. J-FRAME is a general purpose Structural Laminated Veneer Lumber (LVL) gauged Framing timber manufactured by Juken New Zealand Ltd (JNL) from 100% renewable Radiata Pine, plantation forest. 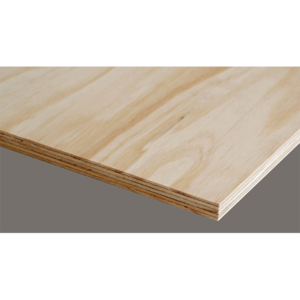 J-PLY is a general purpose plywood panel made from 100% renewable wood resources.